I’m listening to Frank Sinatra sing Antonio Carlos Jobim on some classic audio gear. 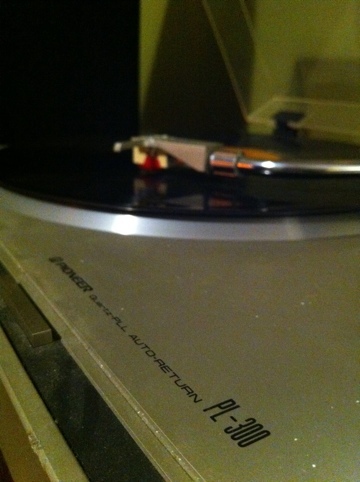 It’s virgin vinyl, never before played, and running through the best speakers I’ve ever owned. 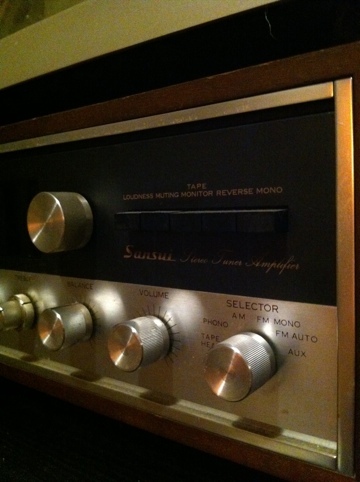 We found this Sansui 2000 amp in the furnace room of the Charing house in 2008 when we moved in. It took a year for me to decide to move it and only then to the garage. 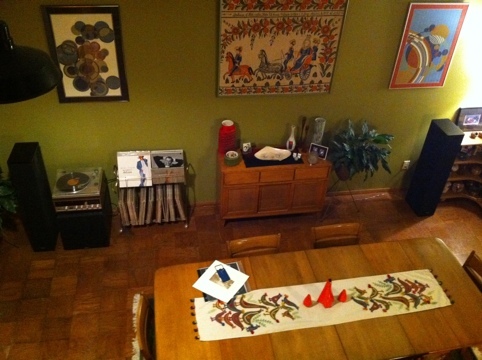 It had a matching pair of (now awful) Sansui speakers that were good only for garage use. The amp has inputs for phono and tape plus an AUX port. 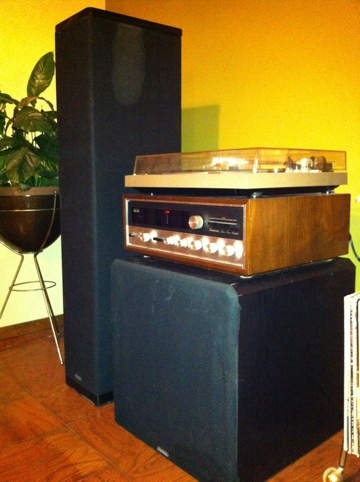 My brother-in-law Blair Smith found these Definitive Technologies speakers at an estate sake near his house. I won’t say how low the price was but call it less than a good dinner for two. This weekend we were in KC to see Blair and Mary, the kids plus Mary’s godfather Bob Jester and his wife Emilie. First thing I did was corral Blair and get the speakers moved to our car. Good news–they fit! After a fantastic weekend and the trip home, I had a plan. I’d set them up in the dinning room just to test, the figure out what to do next. They haven’t moved yet and I don’t think they will. A special thanks to Blair for making this all possible. Truly, these are the best speakers I’ve owned! Yeah, it’s awesome. I can’t remember where I bought that Sinatra/Jobim, but it’s one of my favorites. A perfect way to break in the speakers without breaking the windows!